And why did I not need to share? Well, husband was away for 84 hours – not that I was counting – enjoying a long (with the emphasis on looooong) weekend in New Zealand. While I was home with the kids and the housework. But we survived, and managed to have a bit of fun too, like baking and eating these delicious Zucchini Chocolate Chip Cookies! 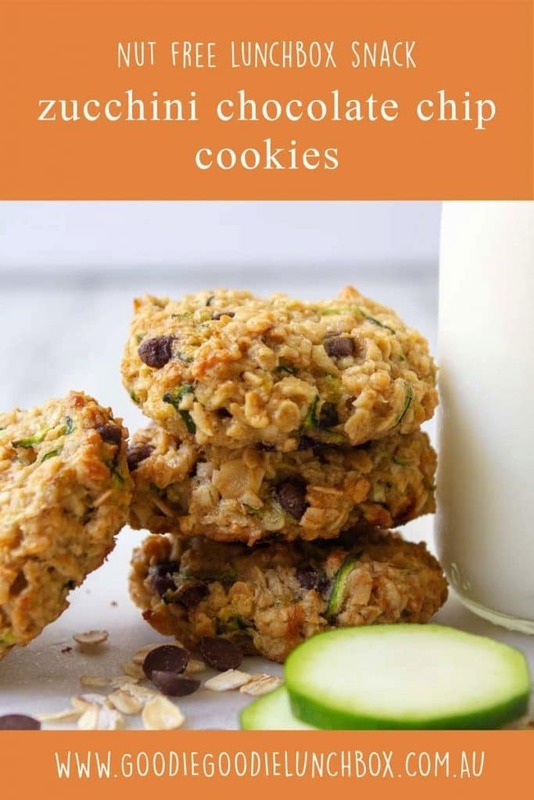 These Zucchini Chocolate Chip Cookies are such a simple recipe. Just one bowl and tasty! I love making these cookies with the kids. They have a lot of fun creaming the butter in this recipe and using the electric mixer. They also love taste testing the chocolate chips too. Totally the best bit about baking right?! 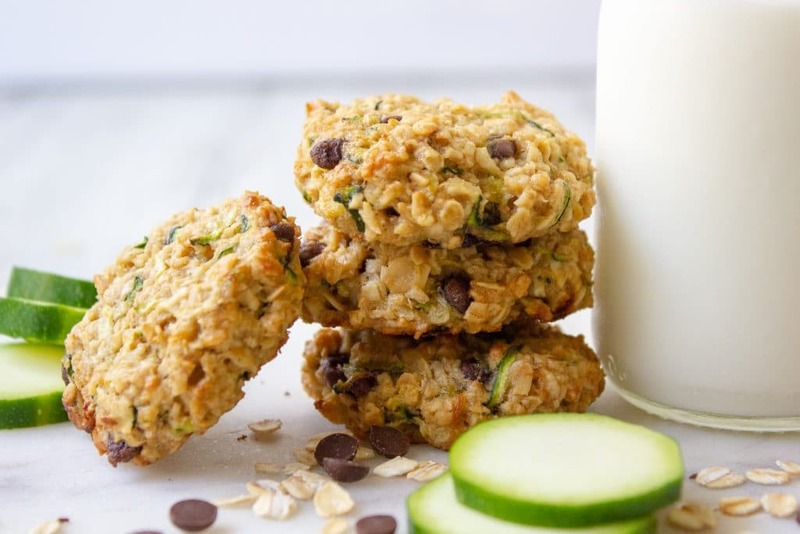 These Zucchini Chocolate Chip Cookies are soft, slightly chewy and just oh so good. These cookies actually started out life as a healthier take on Monster Cookies (which I also will be blogging soon!) but I couldn’t resist a simpler, nut free version that I could put in school lunches. 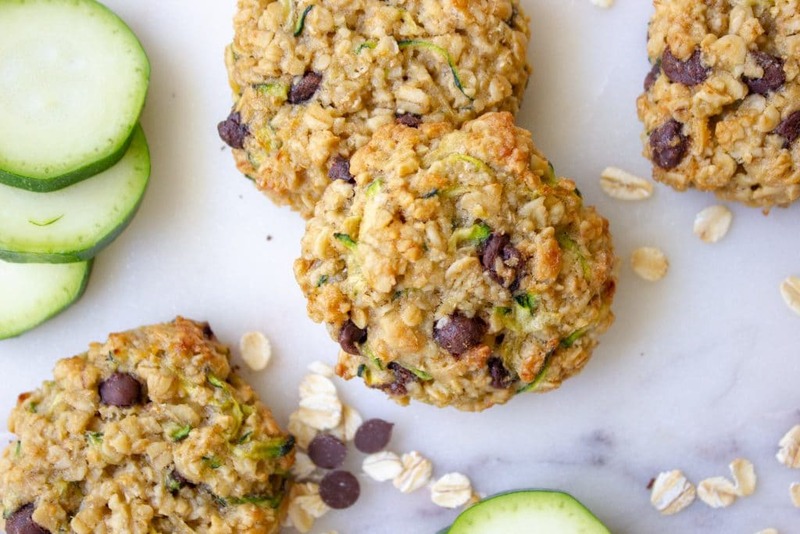 And these Zucchini Chocolate Chip Cookies are the perfect lunchbox snack. Nut free, hidden veg, and did I mention tasty? And what kid can resist chocolate chips right? Or adult for that matter! These healthier chocolate chip cookies are also freezer friendly. To freeze, cool the Zucchini Chocolate Chip Cookies completely then store in a container or zip lock bag. Baking should last for two to three months. Which coincidentally means that if you bake these during school holidays and freeze then you can have enough for the term! Do you love the sound of these healthier chocolate chip cookies? 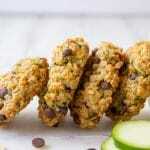 If you do you will love these Carrot Oat Cookies or these Apple Oat Cookies sweetened only with fruit. If you love baking with zucchini you will also love these Healthier Chocolate Brownies or these Apple Zucchini Muffins with no added sugar. 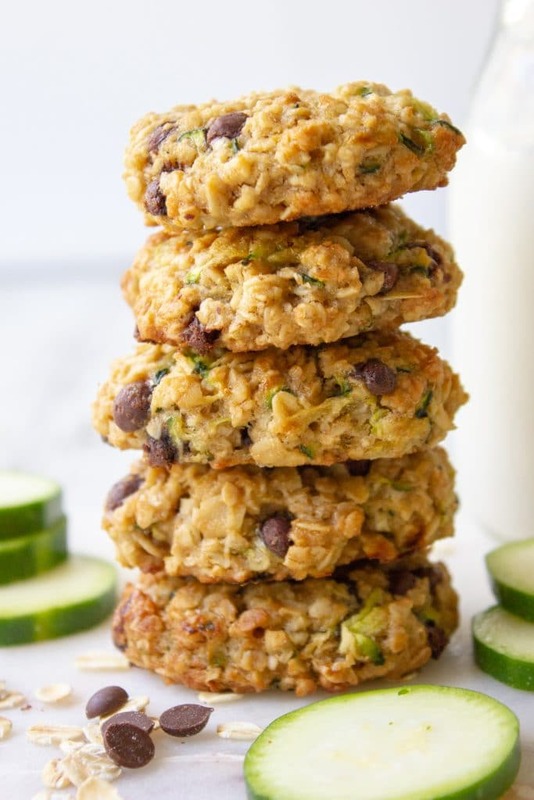 These delicious nut free Zucchini Chocolate Chip Cookies are fantastic in lunchboxes. Lower in sugar and made with lots of oats and wholemeal flour this will be a lunchtime favourite. 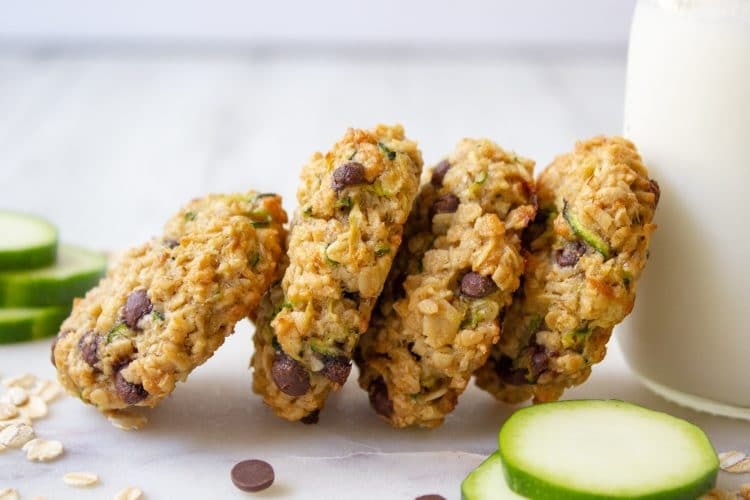 I hope you enjoy this Zucchini Chocolate Chip recipe. As always, remember to get social with me! Take a picture and share with me on Instagram or Facebook! Super recipe! Made a double batch for the first time making it and it went down a hit with the whole family! Can’t wait to make more! Nom nom nom!